Veer Pump has recently launched Solar operated Pumps which are Beneficial for Farmer, Saves Electricity Expanse throughout the Year. These Solar Pumps Manufactured at Veer Pump Industries are made through Heavy and Good Quality Raw material, We never Compromise with our product, These Solar Pumps Requires Very Maintenance and Gives very good Output. Solar Pump are thoroughly tested across various temperature and Weather, They have very high durability. 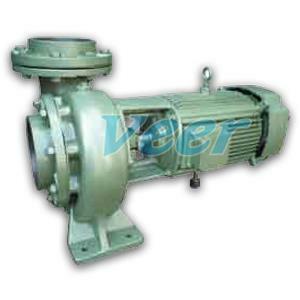 Veer Pumps is a leading Manufacturer, Exporter and Supplier of Stainless Steel Pump. We present a wide range of stainless steel pumps, which are broadly used in various industries such as dairy, beverage, winery, pharma & service Industry. The structure of the Stainless Steel Pump casing, volute and impeller is devolution of technology from a leading Italian pump huge. Our pumps are used for process investment casting and lost wax process in the processing industry. Our stainless steel pumps have lightweight and have superior strength stainless steel sheets which are manufactured by a particular bulge forming process to get factors like pump casting, impeller backplate, etc. Stainless Steel pumps Manufacturer in Ahmedabad. Supplier in : Ahmadabad, Surat, Vadodara, Rajkot, Anand, Bhavnagar, Jamnagar, Kheda, Junagadh, Navsari, Rajkot, Kutch, Bharuch, Porbandar, Mehsana, Kutch, Somnath, Surendranagar, Valsad, Vapi, Panchmahal, Banaskantha, Bharuch, Patan, Dahod We provide service on our products in regions of Gujarat. Submersible Pump Manufacturer in Ahmedabad. Veer Pumps is leading manufacturers, suppliers and Exporters of submersible pumps such as V3, V4, V6, V8 submersible pump, Ahmedabad, Gujarat, India. That is just a little part of the complete large range of submersible pumps obtainable to our expert dealer. A submersible pump is a machine which has a hermetically sealed motor close-coupled to the pump body. 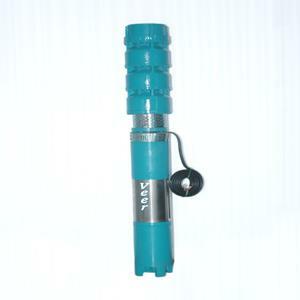 We provide high quality submersible pump are designed by using latest manufacturing technology for high efficiency and are light in weight. 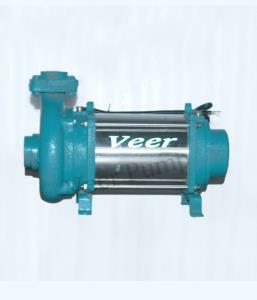 Veer pumps is an openwell submersible pump in cast iron construction. These pumps are installed in-ground and are designed to work underwater.Best Submersible Pump Manufacturer in Ahmedabad. Supplier in : Ahmadabad, Surat, Vadodara, Rajkot, Anand, Bhavnagar, Jamnagar, Kheda, Junagadh, Navsari, Rajkot, Kutch, Bharuch, Porbandar, Mehsana, Kutch, Somnath, Surendranagar, Valsad, Vapi, Panchmahal, Banaskantha, Bharuch, Patan, Dahod We provide service on our products in regions of Gujarat. Veer Pumps is a leading Manufacturer, Exporter and Supplier of Mono-block pumps. Our company is engaged in offering a complete range of Mono block Pumps, which is sourced from Veer Pumps. Easy to install and giving you finest results with no annoy, the monoblock pumps can be used in domestic and industrial applications both. The presented range is mainly used in applications involving high quantity of liquid.The range available with us contains Single stage & Two stage mono block pumpsets that finds broadly used for water provide in residences, high rise buildings, hotels, commercial establishments & various industries. Application > Monoblock Pumps Any Industrial Clear water handling of high pressure. Colling Towers,Refrigeration & Air Conditioning. Boosting Pump in fire Fighting System. Supplier in : Ahmadabad, Surat, Vadodara, Rajkot, Anand, Bhavnagar, Jamnagar, Kheda, Junagadh, Navsari, Rajkot, Kutch, Bharuch, Porbandar, Mehsana, Kutch, Somnath, Surendranagar, Valsad, Vapi, Panchmahal, Banaskantha, Bharuch, Patan, Dahod We provide service on our products in regions of Gujarat. 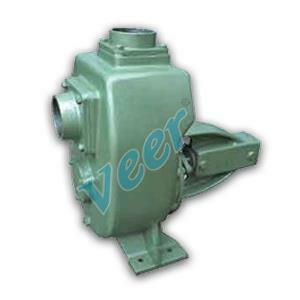 veer Sewage Pump / Mud Pump Veer Pumps is a leading Manufacturer, Exporter and Supplier of Sewage Pump and Mud Pumps. 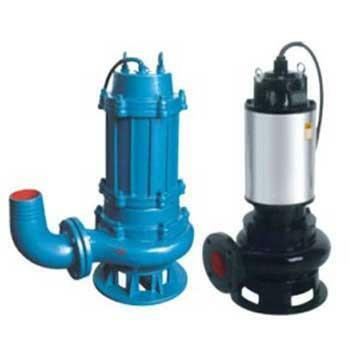 We offer Sewage Pumps to our clients. Drainage of sewage from the building basements, hotel industry, waste water from factories. These are long-lasting and mainly used in steel plants and for agriculture intentions. Drainage of sewage from industrial process factories. We make use of quality factors and spare parts in manufacturing process to ensure long working life and excellent performance of Sewage Pumps. Mud Pumps are broadly appreciated for their higher performance at the client's end, even in muddy conditions. We are best Mud Pump manufacturer in Ahmedabad. Top Sewage Pump Manufacturer in Ahmedabad. Application > Sewage Pump/Mud Pump Dewatering, mud, marine, effluent, hotel, oils, spirits, swimming pools, gas oils. Vessels, industrial-pumping petroleum products, chemical. Civil construction-dewatering foundations, trenches and pits, Public utilities. Filter press feeding, ETP, STP, waste water treatment plant, sewage pumping. Pier, excavations, pits, pot-holes etc., gram panchayats, municipalitie public health departments, large housing colonies, industries like chemical, pharmaceuticals, food, cement, paper, sugar, salt, steel an other for liquid cargo from freighter, barges. Supplier in : Ahmadabad, Surat, Vadodara, Rajkot, Anand, Bhavnagar, Jamnagar, Kheda, Junagadh, Navsari, Rajkot, Kutch, Bharuch, Porbandar, Mehsana, Kutch, Somnath, Surendranagar, Valsad, Vapi, Panchmahal, Banaskantha, Bharuch, Patan, Dahod We provide service on our products in regions of Gujarat. Veer Pumps is leading manufacturer, exporter, supplier of horizontal open well pumps, submersible pumps in india. This single stage centrifugal pumps are ideally suitable for open wells, where there is wide fluctuation in water level. It rest at the bottom of the well, so priming and suction problems do not arise. Prime mover is water filled fully rewindable and water cooled. Dynamically balanced rotor and statically balanced Impeller maintains clearance for better efficiency and friction less working. We are Horizontal Open well Pumps Manufacturer in Ahmedabad. Salient Features of Horizontal Open well Pumps Rotating parts are dynamically and statically balanced for uniform clearance. Bi-axially oriented synthetic film insulated winding wires. Core with low watt loss laminations. Stainless steel body for longer life. Low power consumption. Cast Iron Impeller with high head as well as discharge. Application >Horizontal Openwell Pumps Domestic and village water supply schemes. Drip and sprinkler irrigation. Industrial purposes, Hospitals, Gardens. River and canal lift irrigation. Drinking water supply. Small farms and Hotels.Technical Data Supplier in : Ahmadabad, Surat, Vadodara, Rajkot, Anand, Bhavnagar, Jamnagar, Kheda, Junagadh, Navsari, Rajkot, Kutch, Bharuch, Porbandar, Mehsana, Kutch, Somnath, Surendranagar, Valsad, Vapi, Panchmahal, Banaskantha, Bharuch, Patan, Dahod We provide service on our products in regions of Gujarat. 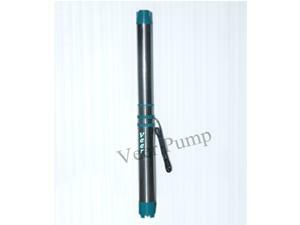 veer - V8 Submersible pumps Veer Pumps is a leading Manufacturer, Exporter and Supplier of V8 submersible pump in Ahmedabad. Made using finest material, these have better impeller design and are combined with effective diffuser that makes these extremely efficient. It is broadly used in irrigation systems, water supply system, fire fighting systems, etc. Our presented pump is made available in various technical specifications as per the information laid down by our clients. V8 Submersible pumps Manufacturer in Ahmedabad. Supplier in : Ahmadabad, Surat, Vadodara, Rajkot, Anand, Bhavnagar, Jamnagar, Kheda, Junagadh, Navsari, Rajkot, Kutch, Bharuch, Porbandar, Mehsana, Kutch, Somnath, Surendranagar, Valsad, Vapi, Panchmahal, Banaskantha, Bharuch, Patan, Dahod We provide service on our products in regions of Gujarat. 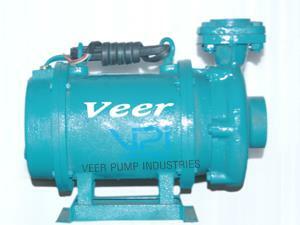 Veer Self Priming Pump Veer Pumps is a leading Manufacturer, Supplier and Exporter of Self Priming Pump. Ideal for water pumping applications, the self priming pump is known for its excellent water pumping capacity, robust construction and energy efficient design. These pumps require only initial priming and come with open impellers, designed for low capacities, medium heads, high suction lifts and volatile liquids. Our quality auditors conduct a range of tests on these products to ensure that superior quality products are presented to our respected clients. These pumps are mostly used DE-watering applications liquid transfer and circulating water. We are leading Self Priming Pumps Manufacturer in Ahmedabad. Application > Self Priming Pump Civil Construction : Dewatering of Excavation Water, Tranches, Pits. Public Utilities : Sewage Pumping. Marine : Pumping Water from Docks Pors,Vessels. Industrial : Pumping Petroleum Products, Chemicals, Effluents ash water, titles, marbles, filter press etc. Mobile machinery : Cooling Water For marine engines and solvents. 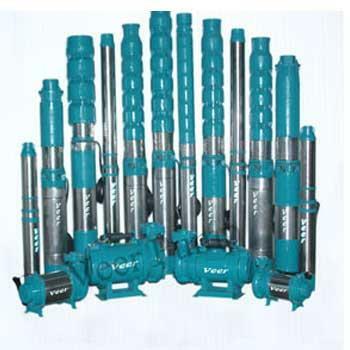 Veer Pumps is the Indi's Largest Growing Company in the Manufacturer and Supplier of V4 Submersible Pumps in India. 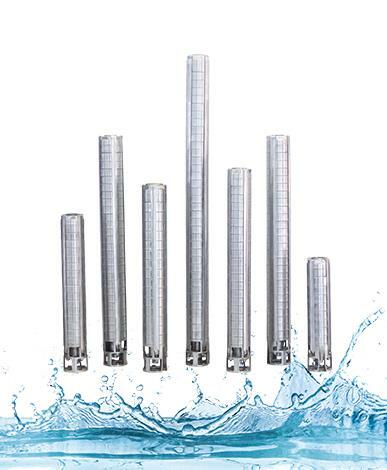 We are leading V4 Submersible Pump Manufacturer in Ahmedabad Send Inquiry Salient Features > V4 Submersible Pumps Corossion resistant stainless steel body. Specially designed for low voltage working. High electrical and mechanical efficiency. Higher heat dissipation. Dynamically balanced rotor and other rotating parts for unifrom clearance. Specially designed bearing to withstand axial thurst loads. Designed for high voltage fluctuations. High efficiency, Low power consumption. Application > Submersible Pumps Drinking water supply, Domestic and community water supply Drip irrigation. Sprinkler irrigation and gardening. Housing-Complexes, Hospitals, High-rise buildings. Fire fighting, landscaping, Fountains, Service stations. De-watering of mines, Cooling water circulations and booster applications. Supplier in : Ahmadabad, Surat, Vadodara, Rajkot, Anand, Bhavnagar, Jamnagar, Kheda, Junagadh, Navsari, Rajkot, Kutch, Bharuch, Porbandar, Mehsana, Kutch, Somnath, Surendranagar, Valsad, Vapi, Panchmahal, Banaskantha, Bharuch, Patan, Dahod We provide service on our products in regions of Gujarat.